The Bulletin is published 6 times per year. It includes important updates in your City government, as well as, events, meetings and important information from your Safety and Services Departments. 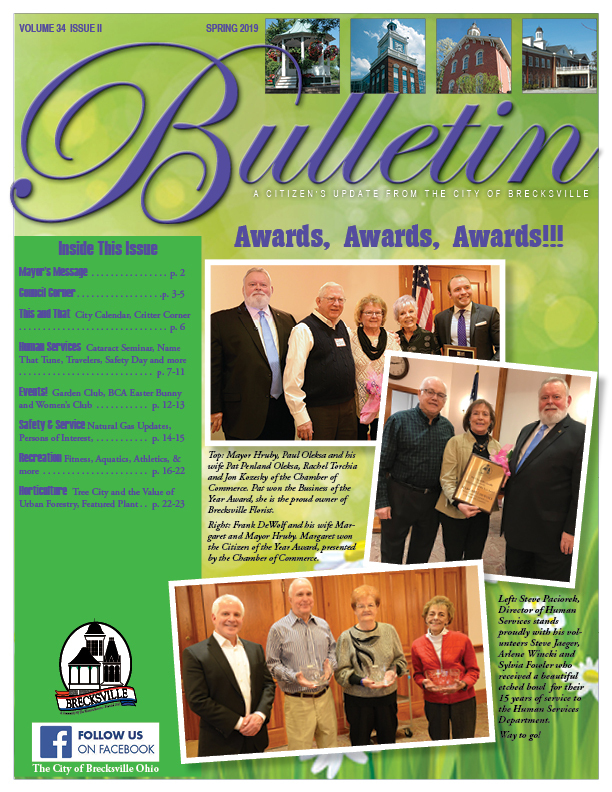 Click on the image below to read online or go to the left column and download current and past issues.